We always feel tired about waiting in a long queue at Internal Revenue Service to have our tax issue fixed. However, in the future, we may recognize our housekeeping robots from the same line who, too, want to solve their tax problems. 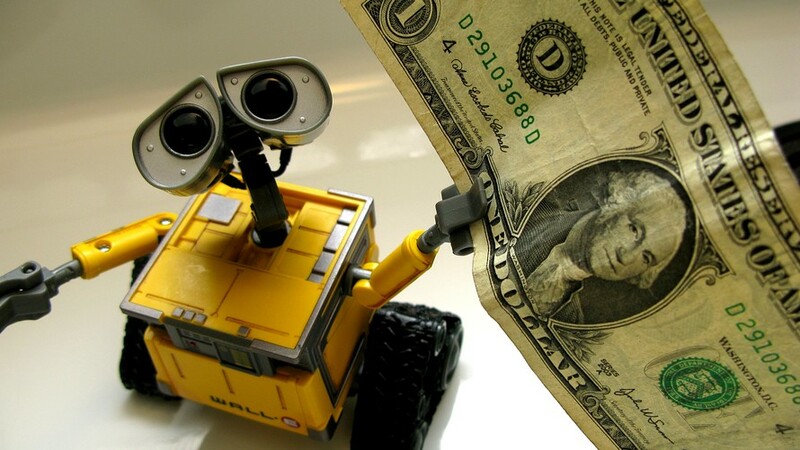 The once wealthiest person in the world, Bill Gates proposed in an interview that companies who take advantages of adopting automation should be taxed on their robots. Albeit it may sound improbable in the near term, we should start to worry about what exactly should we do to assist the affected workers. The purpose of this tax then should be contemplated as a potential remedy aiming to transfer income from AI practitioners to workers being affected. But the true story might not be as simple as it seems to be. So can the current economic trend give us any indication about whether robots will be ubiquitous and cost-saving enough to be taxed on? There are views from optimists and pessimists regarding this issue. Usually, people who think negatively would agree that automation is destined to cost human jobs. We then need to first identify the group of employees who be mostly harmed by technological innovation. According to one of its papers published by World Economic Forum, they surveyed a total of 371 leading global employers who represent more than 13 million employees across 9 different industries in 15 developed and vastly developing countries. From the survey, they estimated that around 7.1 million job losses will occur due to disruptive labor market from 2015 to 2020. Within, almost 5 million of them are in office or administrative positions and more than 1.5 million are in manufacturing or production positions. Despite the level of confidence of these data projection, one can still conclude that when automation becomes ubiquitous, low skilled blue collar workers and some portion of white collar employees are highly at risk. Prediction like this does sound daunting but there are also the sanguine group who opposes the above argument. It can be seemingly unrealistic but U.S. GDP has been sluggish and lackluster in the time period when AI has become the more popular topic. David Rotman claimed that this unexpected performance should be accredited to the superstar companies (those who are most productive in their industries). Only these frontier firms will be able to take good advantage of the innovation to streamline their production processes. Due to lack of resources and market power, most companies cannot realize any gain from invention of new technology. They are responsible for dragging down the overall economic performance. Thus the technological revolution may not be propagated in the pace we thought and the statement in the previous paragraph can be exaggerated. So maybe, at least recently, we will not see our robots standing behind us in the same line. But the issue remains prominent and unsolved, job safeties in many families are still highly at risk. The main reason why robots can substitute human works is that the substituted jobs are highly routine and repetitive. Human cannot be as good as robots in many ways. When we complain about receiving heavy workloads, we turn into bad moods which then will degrade our accuracy and precision. While robots do not have emotions, they are designed to follow the programmers and will never retaliate. Also, we must need to rest every day to keep us alive and energetic while the machines can work as long as their mechanic parts allow them to. But these new creatures have not yet gained fully trust from us when it comes to decision making and judgement. Currently, decisions made by robots will still be inspected by human. Plus, their abilities on reading the intricacy and complexity of human mind remain limited. Perhaps, only in the far future could a robot fully understand the meaning and function of a white lie. All that to say, by no means could we generate any comment on the actual influences of artificial intelligence. The adoption process of new technologies can be either extreme or mild. But, no matter how the process is developed, one thing we can do in the present is to come up with policies that can help people who are most vulnerable. There are programs created by American Recovery and Reinvestment Act that support workers who lost their jobs due to international trade agreements. The government should also prepare similar programs to placate the unemployment anxiety among the concerned group.